The bristling insectoid sounds of night, the found sounds of the world, the swirls of dust and debris in our everyday waking hours come to life and trickling nocturnal with a moon hanging in the sky seeming to swing like a pendulum. This track certainly is night, unsociable and filled with bustling beats like the unkempt untamed thoughts of a restless mind in the body of a human out walking to put themselves at ease. 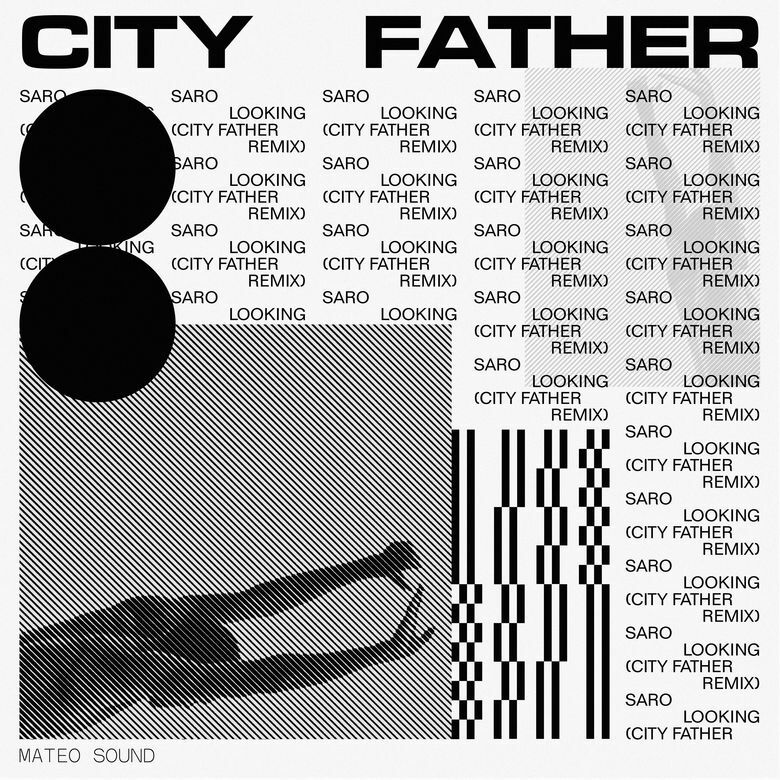 It's a remix of LA singer Saro's track 'Looking', a much slower number that booms along with heavy walls of synth, as opposed to this frantic and clattering juke-ish rework by fellow LA resident and producer City Father; "I wanted this remix to be like a distorted reflection of the original work," CF tells us in an email. "I tried to respond to its ideas with sounds and textures that would tell the same story, like samples of Saro's breath and field recordings I made wandering around downtown LA in the middle of the night." And in the new nighttime feel the vocal from the original – "hope you find... what you're looking for" – is the main refrain in this interpretation, now rapid and repeated, bright and hopeful amidst tumbling angular polyhedrons of percussion clacking and bursting for that tarmac pavement (asphalt sidewalk) concrete glass, hard urban materials that give a harshness to the cityscape as much as the beats lend their polisve clatterings to a harshness in the soundscape. Inspired by the "dark" undertones of the original, City Father explains that he wanted to give everything a "hazy, metallic, solitary color" in order to represent the "subtle messages within the original song." So there are bristling impersonal samples, unclaimed and writhing and ambient, the cold textures of the city—and the synth chords, which do not respond to any offerings of company or social gatherings but wait and then walk alone, melancholy and resolute. 🔔 This remix was released in association with Mateo Sound, an artist collective located in LA.